The ant is the most troublesome pest for homeowners. The most prominent ant in our area is the Odorous House Ant. They are found trailing in and around our homes by the thousands. You may see a few at first but once they find a food source, the full force of the colony will come in to get as much food as they can to sustain the growing population. Don’t wait until it gets this bad. 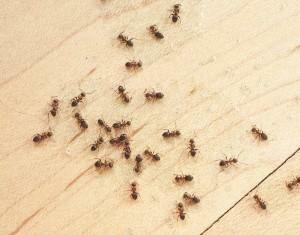 Call The Killers for fast and permanent small ant removal in Portland and our many service areas. The Odorous House Ant can be easily identified by the ammonia odor when smashed. The most common area for this ant to nest is in the crawl space, under concrete slabs, exterior wall voids, and the yard around your home. It is also very common for the Odorous House Ant to nest underwood debris in your yard or under patio paving stones or stepping stones. The Killers exterminators know how to locate and identify these ants and ensure your Portland home or business has total ant removal that comes with a year-long guarantee! The next common ant we deal with is the Moisture Ant which will migrate to the kitchen and bathroom areas to get moisture and fungus as its food source. The Moisture Ant will usually be less invasive than the Odorous House Ant due to the smaller colony size. Moisture Ants can do damage to your Portland areas home because they will bring in moisture or will nest in any areas with excess moisture problems. Most of the ants in our area will range from 1/8th to 3/16th of an inch. Small Ant colonies in Portland and the Northwest area will range in size from a few hundred ants to as many as 100,000 ants. Odorous House Ants will be black in color and have three segments in its body with one node between the abdomen and the thorax. Odorous House Ant colonies will have tens of thousands of workers and can have hundreds of producing queens. The Moisture ant will be reddish brown in color and be just a little bit bigger than the Odorous House Ant. The Moisture Ant will not have any odor when smashed compared to the odor associated with the Odorous House Ant. The treatment for ant removal is also one of the more comprehensive treatments we perform because the colony sizes can be so large. Once the colony is be located, treating it directly will stop the invaders the fastest. Each home is different, so the ant removal service may vary a little. But the two main products we use are Termidor and Phantom. These are the best products when dealing with small ants as they are non-repellants and not detectable to the ants. Small ants will keep traveling through the products and track small particles of the product back to the colony, thereby infecting the whole nest. The goal when using these products is to exterminate the whole ant colony, not just prevent their access into your home. All ant removal services come with a one-year guarantee and include the initial service, a six-month, and a one-year follow-up service. If more services are needed, they’re included as well. Our commitment to you is not just for pest control, but total pest elimination! 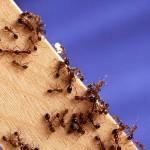 Contact The Killers today for your free ant inspection in Portland and any of our many service areas!